I try to take my lunch to work every day and I am always looking for a nice lunch bag to carry it in. I recently received this Sacko Insulated Lunch Bag. It has an adjustable handle and is nice adjust it to carry on my shoulder or if I want I can shorten it up to carry it in my hand. It has a a zippered main compartment, front zippered pocket and side mesh pockets. 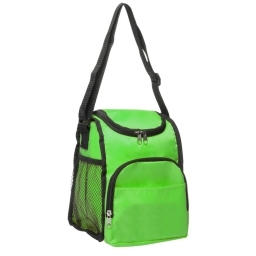 It is great for taking my lunch or even for a picnic at the park. The bag is pretty big at 7 1/4″(W) x 10″(H) x 7″(G) so it can carry any of my containers and even a beverage. I got my in bright green but it does come in blue, black and red. The bag is insulated so it does keep your food fresh ~ I still store it in the fridge at work. The bag is easy to clean too – I just rinse it out with warm soapy water. I have used it for the past month and it still looks like new so it is a tough bag. If you would like to purchase your own Sacko Insulated Lunch Bag you can find it on the link below from Amazon.com. I love to try new things and was excited to try the Beer Bread Mix from Boardwalk Food Company. It is so easy to make you just mix it with 12 oz of beer. I received the Original flavor and we ate it one night with chili it was so good. I was surprised how moist it was and that we didn’t really need to spread butter or anything on it because it had a lot of flavor. I could see adding maybe some dried cranberries, cherries and pecans to the mix. What was fun was deciding what kind of beer we wanted to use. Portland is known for it’s micro-brews so I had lots to choose from. If your worried the alcohol burns off while you are baking it but you could use 7-up or Mt. Dew and have the same results. Don’t they all sound yummy? I want to try the Lemon Poppy Seed next. You can make the bread by putting it in a bread pan, muffin tin or even as poppers. If would like to purchase your own Boardwalk Food Co. Beer Bread Mix you can do so HERE. I have been looking for a portable charger to use for my phone and Kindle. I want something light and not to hard to use. That is why the K2R-803 Portable Charger is perfect for me. It is very versatility product and can be used on majority of cell phones and digital products. What I like is there is that I can charge my iPhone battery 4 times with this portable charger. What is really great is that it fits right into my purse and it is lightweight. I travel for work occasionally so I never have to worry about having a dead phone or Kindle. 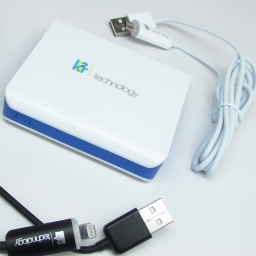 You can purchase your own K2R-803 Portable Charger on the link below from Amazon.com. Everything you need for your backyard and summer fun. Enter today Giveaway ends May 16, 2015. Welcome to the Backyard BBQ Event! This event has been in the works since the end of last summer, so we’ve been working hard bring this to you! This event it hosted by Dixieland Reviews and Co-Hosted by: Mom ‘N Daughter Savings, Southern Mom Loves Deliciously Savvy, Joyful Gifts by Julie, Susie’s Reviews & Giveaways, Amy & Arons Real Life Reviews, Michigan Savings & More, Finger Click Saver, Keeping Your Cents, Life of a Southern Mom, Imperfect Women, Babs Projects, The Savings Opportunity, Heartbeats ~Soulstains, and My Starlight Blessings. Please be sure to visit our awesome Co-Hosts, these are some amazing bloggers! Our Sponsors are We Love Travel Deals and Skinny Ideas. Terms & Conditions: PLEASE READ AS YOU ARE AGREEING TO THESE WHEN YOU ENTER! Must be 18+ and a resident of the US to enter. Void where prohibited by law. All entries from all tools will be combined and they ran throughrandom.org to ensure a fair drawing. All winning entries will be verified, if task on winning entry was not completed and the entry was taken anyway, that entry will be disqualified. Winner will be notified via email and will have 24 hours to respond. If no response is received, winner forfeits the prize and a new winner will be chosen. Winning email will be sent from marie@dixielandsdeals.com so please add it to your safe list. We do not spam, nor will we ever sell your email address. We hate spam as much as you do! Prizes are shipped by sponsor. Participating bloggers not responsible for shipment of prizes. Not associated with Facebook or any other social media outlet. By Facebook terms and conditions, we cannot require you to ‘like’ any Facebook page, we can only ask you to visit them. But it’s because of the participating bloggers and sponsors that we are able to bring you such great prizes, and we do appreciate it when you like our pages, plus then you’ll know when we have another awesome giveaway! 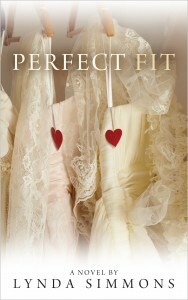 But it is still up to your discretion as to whether you like the page or not, and you will not be penalized. Please direct any questions to marie@dixielandsdeals.com. Once winners have responded with their mailing information, they will be listed on the WINNERS PAGE. We list first name and last initial to protect privacy. These names are ONLY listed once we receive the mailing info from the winner. I have tried a number of different lotions that have Vitamin C in them. The Vitamin C encourages collagen production, which brightens and softens the skin. It is essential in maintaining smooth skin. 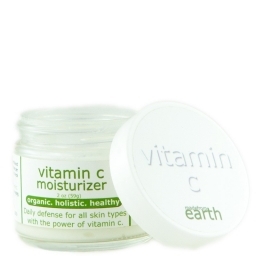 Vitamin C moisturizer also helps even your skin tone and is great for help with brown spots. The Vitamin C Moisturizer may be worn under sunscreen, since Vitamin C boosts the effectiveness of the sunscreen. What I thought was great about this Vitamin C from Made From Earth was that it was light and very gentle. It just blended into my skin and did not leave any residue or oily feeling. It can be used on all skin types and is good to use twice a day. I use it in the morning under my make up. I have found that my skin is feeling smoother and looking brighter. Some of the discoloration from the sun has gone away. It is a moisturizer I will purchase again. If you would like to purchase your own Made From the Earth Vitamin C moisturizer you can do so HERE. I am always looking for something to help keep my curly hair from looking frizzy. Recently I tried a product from Shielo it was a Leave in Hair Protectant . It is a spray I can use either while my hair is wet to help prevent damage from the heat of the blow dryer or curling iron. It can also be used to touch up my hair if it gets frizzy during the day. 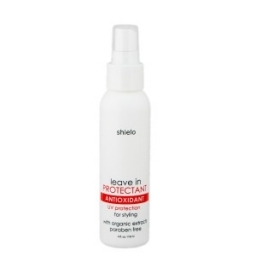 Shielo Leave in Hair Protectant is rich in antioxidants and is designed to fortify every strand of hair. It also protects it from daily styling and dry of your hair. The unique protective complex with pro-vitamins, proteins and amino acids infuse hair with vitamins while providing UV protection. For deeper natural and color-treated hair color. Excellent in controlling frizz and detangling. I really like Shielo Leave in Hair Protectant, it was easy to use, made my hair easier to comb out and helped control the frizzy curls. I just sprayed it in before styling and it looked good. It is paraben free and it doesn’t hurt that it is made here in Oregon. If you would like to purchases Shielo Leave in Hair Protectant you can do so HERE. 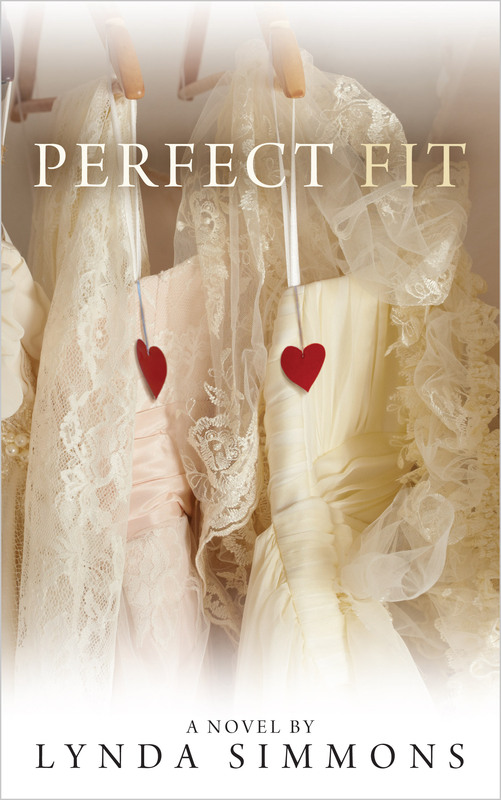 Rachel Banks has never believed in magic or moonlight, but if she’d thought that putting a piece of wedding cake under her pillow would conjure up a nightmare in the form of blue-eyed charmer Mark Robison, she’d have stuffed that cake into her mouth instead! Mark is only in Madeira Beach for some much needed R&R and his new neighbour is not the kind of woman made for vacation memories. But there’s something about the incurable romantic that just keeps drawing him back. With two daughters to raise, Lynda and her husband moved into a lovely two storey mortgage in Burlington, a small city on the water just outside Toronto. While the girls are grown and gone, Lynda and her husband are still there. And yes, there is a cat – a beautiful, if spoiled, Birman. 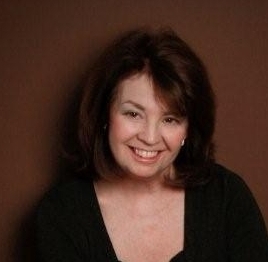 When she’s not writing or teaching, Lynda gives serious thought to using the treadmill in her basement. Fortunately, she’s found that if she waits long enough, something urgent will pop up and save her – like a phone call or an e-mail or a whistling kettle. Or even that cat just looking for a little more attention! One of the things that drives me crazy are all the messy charges and wires on the counter were we plug in our phones, kindle, iPad and iPods. I always had to wait till my phone was charged before I could charge my iPod. Recently I received a Atrico Multi Port Rapid Smart Charge Tower. I can’t tell you how much I like it. We can charge various combinations of Smartphones and Tablets at a time. It has 2 Smart IC Ports for any device, 2 Smart Ports that are unique for Apple iOS devices and 2 Ports for any Smartphone. 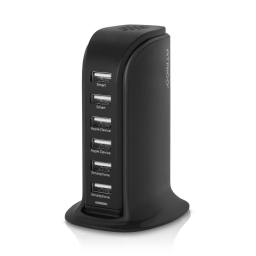 The tower can put out a maximum of 8 Amps at once and a max of 2.4A per port. I love that my phone charges in 1/2 the time that it did in the past and I can charge more than one thing at a time. It doesn’t take up much space on the counter and is portable if you travel. It is only 4.1″ x 2.2″ x 0.9″. The Charge Tower is manufactured with the safest, most advanced, PCBA on the market for these types of products and the hub uses fireproof composite materials. The Atrico Rapid Charge Tower comes with a 1 Year Limited Warranty. If you are looking for a rapid charger this is a good one. You can purchase your own Atrico Rapid Charge Tower on the link below from Amazon.com. We love ice cream at my house – well actually it is Rex who loves ice cream at our house. I think he has it every day. The one thing I needed was a ice cream scooper – Rex has bent a number of spoons while getting ice cream out. Our new scoop from SUMO is great! It has a really nice handle that is made from thermoplastic elastomer rubber that’s BPA-free and food-safe. It’s soft to the touch, but allows for a firm grip. The scoop won’t slip from your grip. 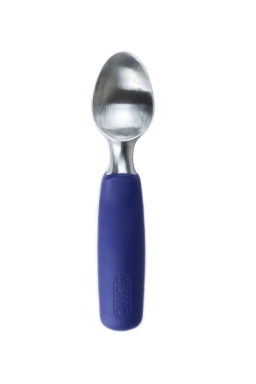 The chisel-shaped tip glides through the hardest ice cream comfortable and easy to grip-won’t slip or hurt your hand. The scoop won’t bend, crack, or break-virtually indestructible heavy-duty stainless steel construction. Our freezer is set pretty cold so the ice cream can be hard to dip – but not with our new SUMO ice cream scoop. The SUMO ice cream scoop is also dishwasher safe. It is made from heavy-duty stainless steel so it won’t rust ~ it should last you a life time. If you would like to purchase your own SUMO Ice Cream Scoop you can do so on the link below from Amazon.com. I have been wanting to get a diffuser for awhile. I like the idea of essential oil being diffused into the air making my home smell good while being good for me. I was excited to get this Aromatherapy Essential Oil Diffuser from Gurin. I have to say I love how you can set a timer for it to stay on for 180, 120, 60, or 30 minutes. I also like that I can choose different colors. It has a number of different colors including red, blue, green and white. They can be in bright or low mode. The scent is carried up to 220 sq ft. The Gurin Aromatherapy Essential Oil Diffuser uses a heat-free diffusion method, while enhancing an oil biological effects, ideal for improving the atmosphere of any home or work space. Since it is heat-free it is safe for any home ~ even one with small children or curious pets. My Gurin Aromatherapy Essential Oil Diffuser came with a free bottle of Lavender Aromatherapy Essential Oil so I could just plug it in and use it when it came in the mail. It is so easy to use – you just fill the diffuser with water, add essential oil and plug in. What could be more simple? 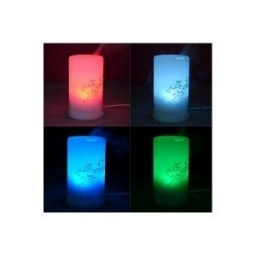 If youw would like to purchase your own Gurin Aromatherapy Essential Oil Diffuser you can order it on the link below from Amazon.com.